Happy halloween. 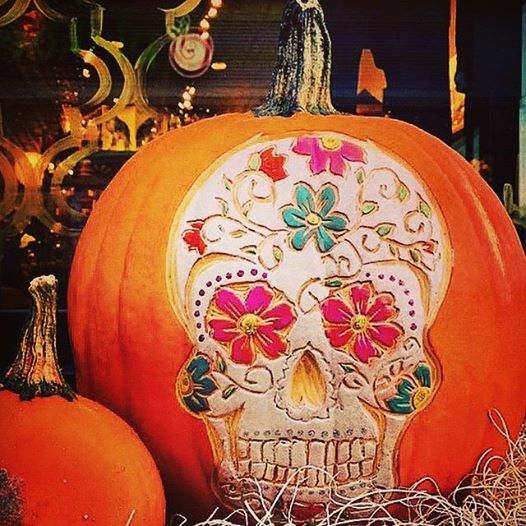 This is Portobello Road’s pumpkin. It’s not enough that everything in there is heaven, they even have the best pumpkin ever! Don’t mean to rain on your Halloween parade, but check out these sobering candy calorie stats. Eat carefully. Middle school girls re-make Ghostbusters trailer, and it’s a hoot. Junior high is much more fun than it used to be. I was a geisha one year for Halloween. My mom’s friend brought me a kimono from Japan, which inspired this odd choice for a five year old. Anyway, I spiked a 104 fever, and got to go to my grandmother’s for some lame candy bar, before crashing on the couch. #worsthalloweenever. Don’t forget to check out the multiple Google Doodles today. Lastly, and un-Halloween, I am terribly sad about the loss of Mayor Tom Menino. He was the heart of Boston.